Cyprus, for many years has been a popular destination for property purchase and investment. With over 300 days of sunshine every year, stunning blue flag beaches, towering sea cliffs, vineyards, olive groves, citrus plantations, the breathtaking Troodos mountain range, low levels of crime and a low cost of living, there is no wonder so many British people have chosen to invest in this beautiful island known as the ‘Jewel of The Mediterranean. 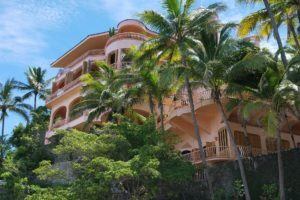 With property prices at one of the lowest rates in the last ten years and an advantageous exchange rate, property sales on the island are rapidly increasing with a strong contribution from predominantly British, Chinese and Russian investors. The British favour Cyprus particularly because English is widely spoken, cars drive on the left, as in the UK, the electricity system operates with three pin plugs, just as in the UK, the legal system on the island is very similar to that of the UK and there is a large presence of British military and British ex-pat communities. Cyprus is made up of five main residential areas, each offering different opportunities for lifestyle and investment. 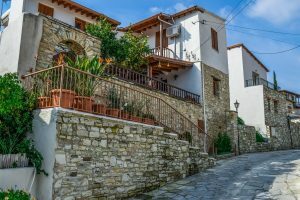 It is advisable when purchasing property in Cyprus to use a professional currency specialist who can guide you on when to make an exchange from GBP to Euros for example, by identifying the optimum rate at the time of purchase and working with you to help you make the most of your investment and relevant timing. The island’s capital, Nicosia, remains the only divided city in Europe as the border between north and south runs through its middle. This is a cosmopolitan city, with its historical centre situated within 600 year old Venetian walls. Like any city, there are an array of shops, museums, restaurants and offices. Nicosia is located centrally on the island, approximately a one hour drive from the nearest coastline. In sharp contrast to the capital, the beautiful area of Paphos is situated on the western coastline of Cyprus. Boasting stunning blue flag beaches and a plethora of history and mythology, Paphos is said to be the birthplace of Aphrodite the Greek Goddess of love and beauty. 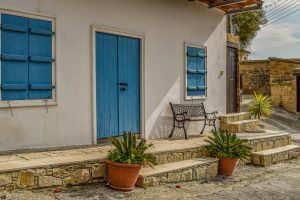 Predominantly a tourist area, Paphos has many English speaking residential communities with most of its properties being apartments on complexes or detached villas. This is an ideal location for investing in property for the purpose of holiday rental as it is open year round and houses one of the two airports of the island. Home to the islands second airport and one of its two major ports, Larnaca is an up and coming city located in the islands south – east corner. 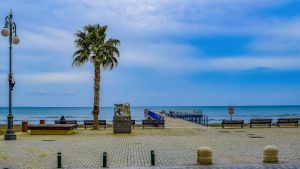 Offering a stunning, palm lined promenade with many shops and restaurants, Larnaca is where old meets new. The inner city centre is made up of small winding streets lined with some of the top brand name shops and boutiques, whilst further out of the centre there is a beautiful coastline of tourist hotels and attractions. 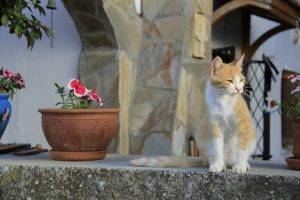 Both city dwellings and holiday rental property can be found here. 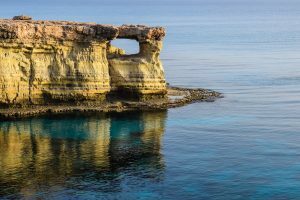 A short drive further up the east coast of the island will bring you to the famous resort areas of Protaras and Ayia Napa. Known for hosting two of the top 5 beaches in Europe, this area really is a holiday makers paradise. A lot of investment is being made into the area which will ultimately drive up property prices in the future, making now the perfect time to buy. Mainly made up of holiday apartment complexes and villas, the area will benefit from a new 600 berth Marina in Ayia Napa and the development of several first class golf courses and resorts. There is also a large British residential community located in the surrounding villages. Located at the southernmost point of Cyprus, Limassol is a large coastal city and home to the islands biggest shipping port. Limassol offers a great city location with the benefit of living by the sea. The one main motorway that runs through Cyprus makes commuting to Paphos, Nicosia or Larnaca a real and accessible option making this an ideal location for those coming to Cyprus to work or looking to buy property as an investment offering long term rental for professionals. 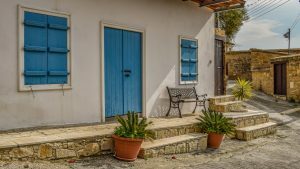 Properties range from small city apartments to sprawling, sea view mansions and with the beautiful Troodos mountain range and numerous quaint villages just a stone’s throw away, Limassol offers the best of Cyprus and all it has to offer. Since the invasion of the Turkish military in 1974, Cyprus has been divided and operates a border control between the north and south of the island. In the south of the island you will find Greek Cypriots who practice the Greek Orthodox religion and speak Greek. To the north you will find predominantly Turkish Cypriots who practice the Muslim religion and speak Turkish. 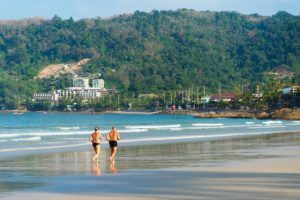 Many people do invest in the Northern part of the island which tends to be much cheaper for both property purchases and day to day living costs than the south but, this does come with risk and complications, especially with land located close to the border where there are still many disputes about ownership. In addition, the North of the island is not part of The European Union and as such, operates all property purchase transactions in Turkish Lira under Turkish law. The landscape offers several small picturesque coastal towns and harbours as well as beautiful mountainous areas. Part of Nicosia, the islands capital is located North of the border offering city living options to those who prefer to be inland and more centrally located with easy access to cross the border.